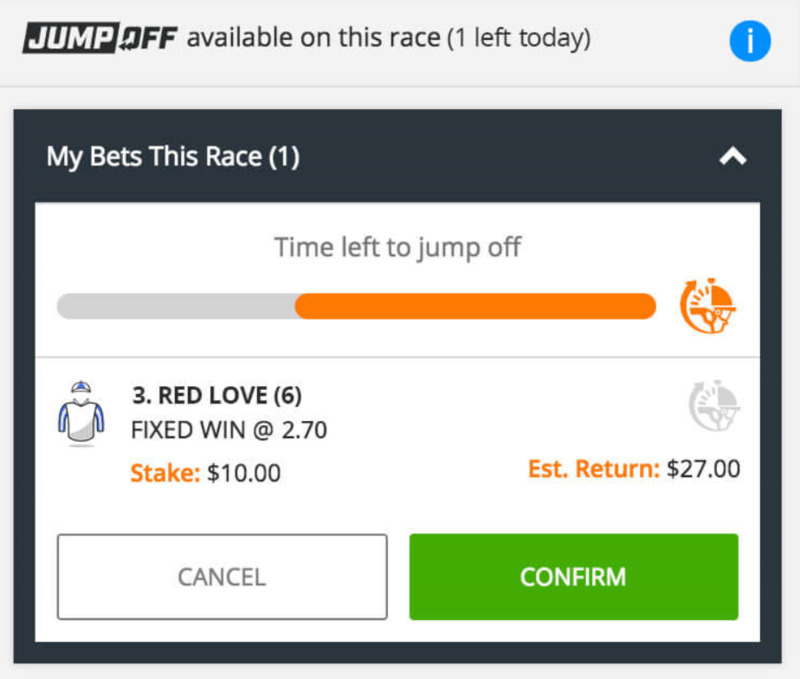 Neds Jump Off For Racing | Jump Off Your Bet In The Run! Home Bookmaker Products Neds Jump Off – What Is Neds Jump Off? Neds Jump Off – Cancel Your Bet In The Run! What is the Neds Jump Off Product? The Neds Jump Off product gives you the opportunity to cancel a racing bet within a designated time. When the race starts, a countdown timer will appear on the screen. Once the Jump Off timer ends, you will no longer have the option to Jump off your bet. Available on selected Australian and New Zealand races where the Jump Off symbol is visible. 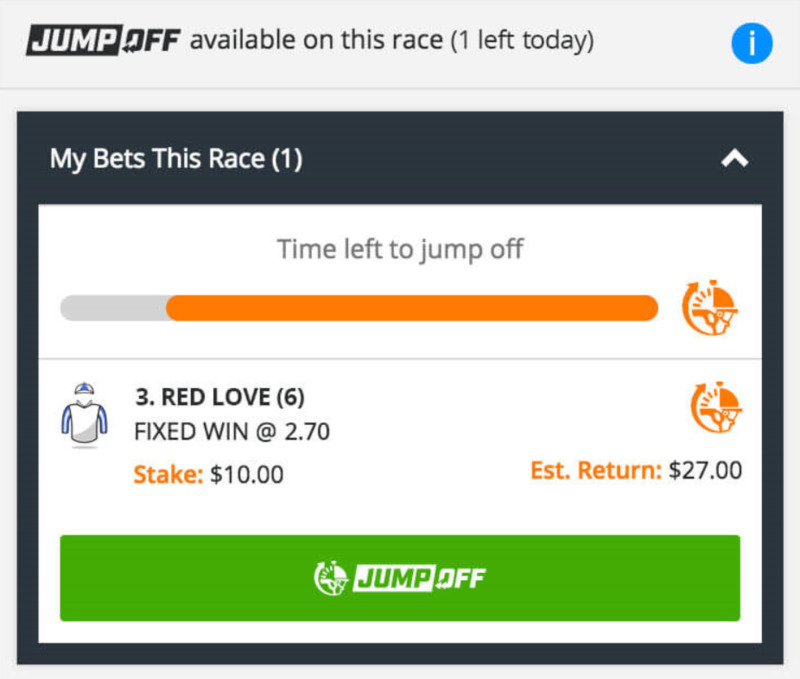 Neds Jump Off is available only for Win-only bets, and you will receive one Jump Off per day up to a maximum bet of $500. You may Jump Off a bet which has been boosted by Price Boost, however you will not receive another Price Boost in return. 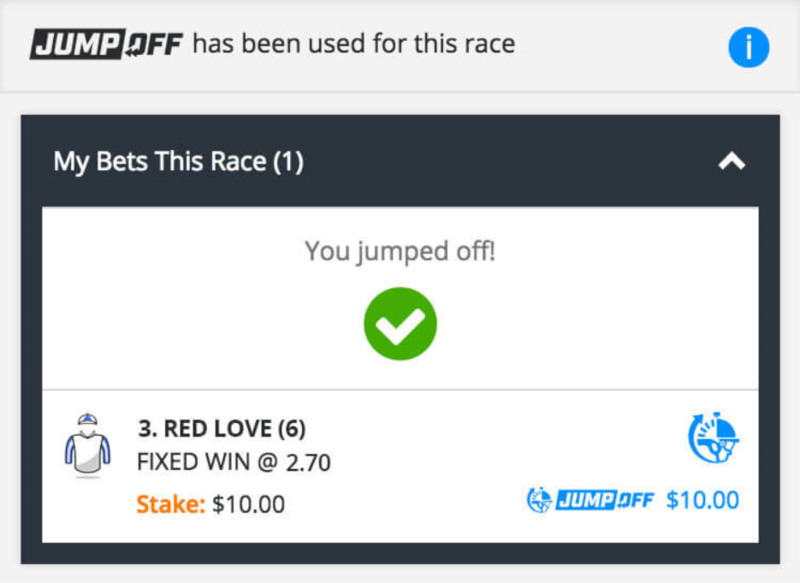 The Neds Jump Off product is not available to be used with Bonus Bets. In this example below we have 1 Neds Jumpoff available for the day, all accessible in your Neds Toolbox in the top navigation menu. How do I Jump Off? 1. The Neds Jump Off feature will appear above the race field on your selected race. You will then be given confirmation that your Neds bet has ‘Jumped Off’. When will my stake be returned? As soon as the race is officially settled, your full stake will be returned to your Neds betting account. What is the Neds Jump Off promotion? With Neds Jumpoff you can cancel your horse racing bet after the jump within a designated time frame after the race has commenced. 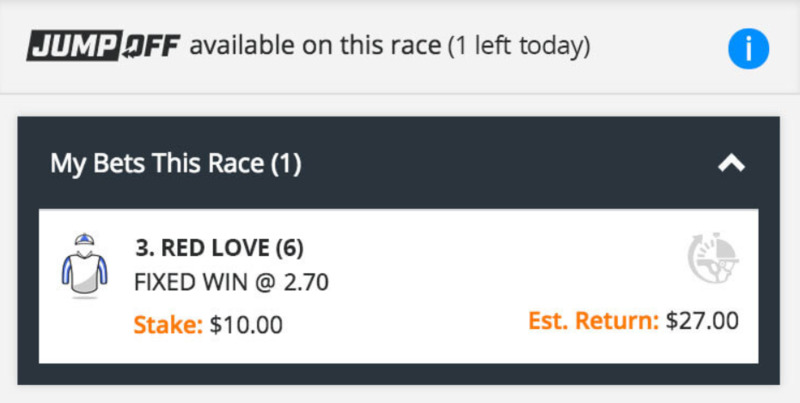 Maximum stake refund $500. Cancel your horse racing bet in the run for Fixed Odds Win-only betting. When the race commences, a countdown timer will appear, you must cancel your bet within the designated time frame. Once the timer runs out you will no longer have the option to jump off. 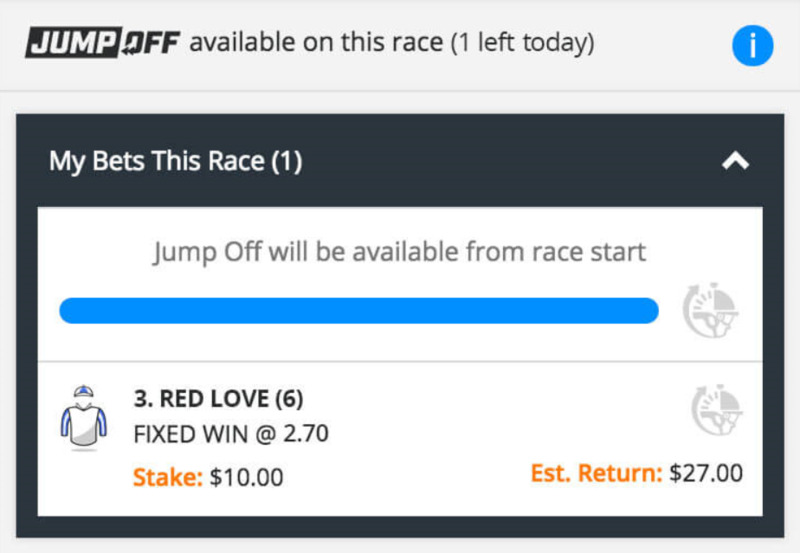 Available on selected Australian and NZ horse racing where the Neds ‘Jump Off’ icon is visible. For Mobile Web (or app) betting only. Full Jump Off terms and conditions apply.